A long, prehensile tail would be great for those times when I need a little extra support. Like when perched at the edge of a dangerous cliff. Or perhaps at the end of a vigorous night drinking with friends. Like a third leg, the tail could form a tripod of stability to save me from getting embarrassed or even injured! There's no better way to break the ice at an awkward social function than to unveil a glorious prehensile tail, capable of astonishing feats of practical dexterity. While some may find it strange or even creepy, all fears would be quailed when I display its ability to crack open a beer, change the music, or even light a friend's cigar. "So...what's with the tail?" They might ask. "I'm Brian. Let me tell you the story!" More than once I've wished I could clone myself. But really a clone is just an annoying identical twin. So in reality, the best way to get more things done simultaneously would be to have another appendage. Like a tail! I could cook eggs and fire up the espresso machine at the same time. Or hold a coffee mug while my hands are full with the latest Stephen King novel. The usefulness of a prehensile tail for multitasking is obvious! 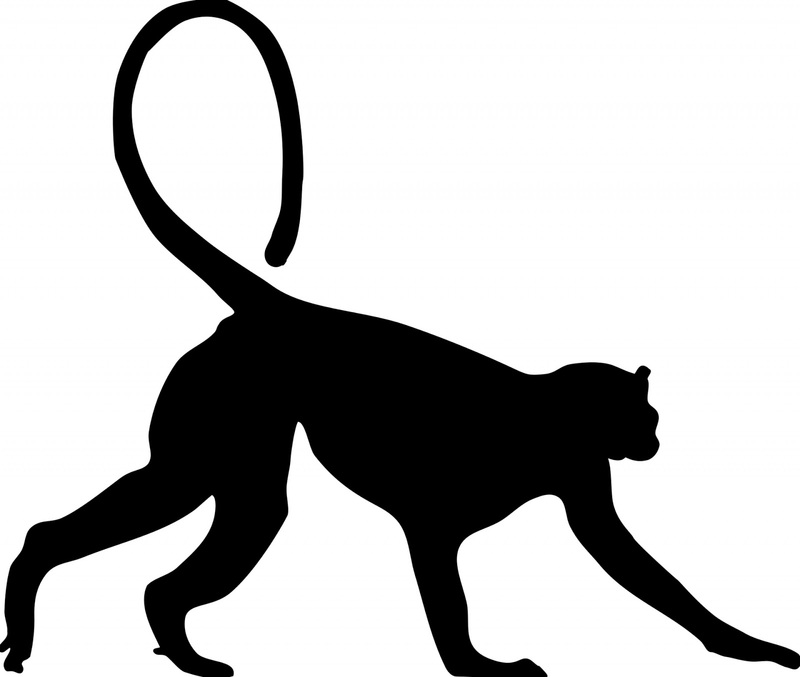 A long tail would be immensely useful at getting people's attention. It could be done in all seriousness, like over the cubicle walls at the office. Or as a joke, like sitting on the bar stool next to an unsuspecting prank victim. Tap, tap, tap. Who's there? What the?! There is that one swatch on my back that I can just never get to. Whether it's itchy, sore, or just needs a dab of sunscreen, the damn piece of skin is always a tease; the only part of my body I just can't reach. Problem solved with my dexterous and flexible tail! It works for bats, why not for me? All that blood rushing to your head must surely make for some vibrant dreams. My only concern is if it lost its grip in the middle of the night, sending me on a headfirst, groundward spiral! Scientists seem in general concurrence that the main function of a prehensile tail is to enhance the arboreal qualities of primates. Humans have an opposable thumb, which makes gripping tree branches (and just about everything else) possible. There is no doubt, however, that monkeys are far superior at climbing trees due to the practicality of their tails. I want one! Nothing gets a tail whipping around faster than a bit of excitement. Like when my wife tells me dinner is ready. Or when we're loading up in the car to go on a drive. I can imagine that tail would really add an element to the excitement of a lot of things! I'm sure as I got used to my new appendage I would discover all sorts of excellent, hilarious and practical uses for a prehensile tail that I'd never thought of before. The mystery of what I might learn is quite possibly the most exciting part of all! As always thanks for reading. If you enjoyed this whimsical and nonsensical post, found it somehow enlightening, or just plain want to hate on me, consider commenting below. Better yet, sign up for my weekly mailing list. Not only will I love you forever (unless, of course, you actually do want to hate on me), but I will reciprocate by reading, signing up for and actively commenting on your blog (should you have one, if not, I'll brainstorm another way to repay you.) Generally I enjoy blathering on about anything from the novel writing process to Giant Redwoods to the Ancient Maya and more. Now I want a prehensile tail too! I could brush my teeth while reading a paperback. Perfect! That is exactly what I'm talking about!